Professional football training, football career + successful application to universities in Czech Republic. The International Union of Youth has developed a new unique program for 1 year for young people who wish to prepare and enroll to leading universities in Czech Republic, and become successful football players. Annual program is structured as such, that intensive sports training (in Slavia farm team — football club Admira) is combined with study of Czech and English languages based in one of top universities in Europe – CZU. A precise rational balance between sports and education is carefully kept. Upon completion course – students pass en exam and receive certificates. Football club Slavia is the leading and most highly rated club in Czech Republic, regularly participating in League of Europe and Champions League. Alumnus of Czech Slavia play in leading clubs of Europe. Participants of MSM Football Academy have the priority in auditions to join Slavia throughout the year! The training process is followed by specialists from the club, who carefully choose possible candidates for signing a professional contract. The MSM International Football Academy has been formed not that long ago, yet much has been achieved in this time! Just a few years ago we have started to build our academy literally from a scratch. Today we have an exquisite possibility to train on profound football facilities with grass and synthetic pitches, daily handled by specialists to provide high quality surface for games and practises. Throughout the years of irreproachable activity of MSM Football Academy in Prague we have made many eminent partners willing to continue this successful cooperation in the future. This includes such organizations as: Football Federation of Czech Republic, Prague Football Federation, Moscow Football Federation, Kiev Football Federation, NIKE brand, widely recognized WorldClass fitness centre chain, official representative of Jaguar and Land Rover in Czech Republic, Ukraine International Airlines. His first appearance happened in 1990 as part of Sparta team – first large football in Czechoslovakia and later Czech Republic. He scored 177 points and 27 goals for Sparta in the 7 years with the team. He took part in European Cup Championship semifinals and quater finals of the Cup Winners’ Cup. As part of Sparta he won titles in national championships in 1991, 1993, 1994, 1995 and 1997 , and cups in 1992, 1993 and 1996. As a part of the national foorball team he had played in 37 games — 8 of those have been for Chechoslovakia and 29 for Czech Republic. Scored 4 goals. He became vice-champion of Europe in 1996. Also played in FIFA Confederations cup in 1997. At the moment Martin Frydek works in Prague Amdira Academy. Eva Ganyakova is a former football player, and the captain of the national women’s football team of the Czech Republic. Currently she is the head of the Czech youth football team. Eva Gonyakova has been working in the AC Sparta Praha academy for a while as the head coach of the women’s team of U17 age. And, as of today, this team has been showing excellent results. 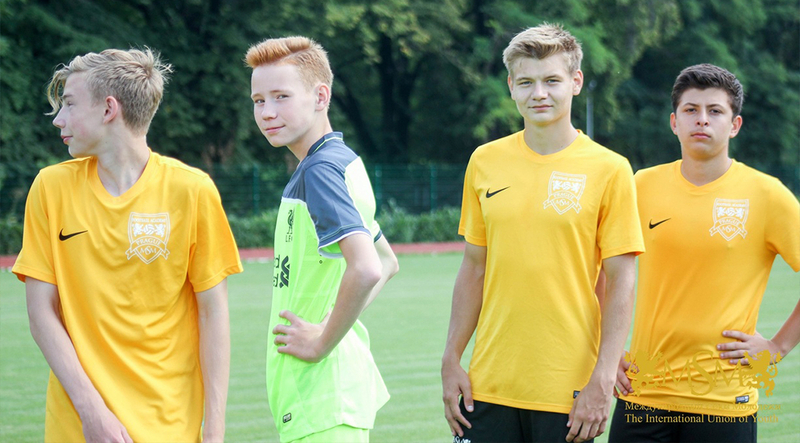 Thanks to Eva’s unique coaching methods and quality tactical training, many strong football players have graduated from the academy. Eva Ganyakova is the most frequent participant of football conferences and master classes, which take place in Europe and beyond. In 2014 she was awarded the prestigious award of Doctor of Science of Václav Jírů for her invaluable contribution to the development of Czech football. Personal coaches of MSM International Football Academy develop meal and training plans fit for each trainee. Special host coaches and assistants from different teams bring diversity into the training process and carefully follow the players to see if some may potentially join their club. After the players go through a physical training, the coaches go through tactical strategy with them. The team trains 4 times a week. Members of the program have the chance to play in official league games in Czech Republic, local tournaments and most probably will take part in international competitions as well. MSM International Football Academycomplies with the highest modern sport standarts. Our special ingredient is the team spirit and individual approach to every member, what guarantees success for both beginner and professional players. We equally care for high training level and achievement of best possible results. MSM International Football Academy + Preparation Czech and English Courses in CULS program(1 year course) on the faculty of «Economics and Management»is focused on successful study of Czech and English for ones willing to study in state universities of Czech Republic. The course is developed based on requirements of the entrance exams. Education in state universities in Czech language is free. Czech University of Life and Science in Prague is one of the top universities in Czech Republic offering Czech an foreign students high quality professional education. Over 17 000 students study in CULS. In 2006 Czech University of Life and Science had celebrated its 100th anniversary. The level of education and research activities in this university is balanced and complies with leading European standarts. The university has a stable notable position on the European education market. Its successful experiments and innovative research results are of importance and value for entire Europe. Except for Czech language courses, students in groups (no more than 20 people) study English which is required for their entrance exams to most of state universities. Not only does this give them an additional chance to enroll, but will also make it easier for them to study in their first year in university. The courses are taught by experienced teachers and professors from CULS. The language courses are meant for successful application not only to CULS, but also to University of Economics in Prague, Charles University, Czech Technical University in Prague and other state and private institutions in Czech Republic. In order to study for free in any of the state universities foreigners are either required to pass a Czech language exam or to provide a language course certificate. Upon successful completion of the course CULS provides students with such standard government-approved form certificate. Besides sports and education part of the MSM International Football Academy + Czech and English language preparation courses in CULS (1 year) The International Union of Youth offers various services which are required for successful completion of the program and comfortable adjustment to independent life in Czech Republic. Help with collecting the documents and filling out forms in the embassy for long term visas to Czech Republic for academic year 2017/2018. Provision with all necessary documents from our side (education and accommodation confirmations). Organization of Czech insurance for entire period of study. Insurance is paid separately by the student. Cost of the insurance depends on the incidents it covers. Meeting the student at the place of his/her arrival (airport, bus or train station) any time of day. Help with connecting to local mobile phone services. Registration in foreign police within 3 days upon arrival. Student is provided with 2 month public transport pass upon arrival. Consultation services and support regarding education. In case of requirement we organize qualified medical help in the shortest possible period, as well as translation to and from Czech language when visiting the doctor. Medical insurance is a must. First year of education — all consultations and other support is for free. Consulting regarding any issues accommodation and employment in Prague. Help with validation of foreign studies and degree documents. In 2012 The International Union of Youth has signed an exclusive contract with one of the best fitness centre networks – World Class, based on their long term successful cooperation. All students attending the annual program will have unlimited access to World Class facilities throughout the football season: fitness centre, gym, swimming pool, jacuzzi and sauna. Combination of your talent, ambitions and effort with our professional work — is the key to the football career in Europe.